Can anyone help me understand why a crossbow requires a turn to reload, while a blunderbuss does not? Wouldn't a blunderbuss take as long or longer to load between shots? Removed some statements that were based on an incorrect interpretation of the rules. Have you ever tried loading a crossbow? A blunderbuss is like a small cannon. Cannons take some loading, but you can get very good at it with practice. The explosive charges are prepared (and small enough to fit into a pocket or satchel) and likewise the shrapnel load is about the same. Although it would take a greater amount of time than an automatic weapon, a turn is a surprisingly long amount of time. You have to remember that you have the whole movement phase to prepare for shooting (which is why Hand Bows are "move or fire"), and potentially the combat phase, if you don't enter combat. Although the amount of time you have is situational, for the simplicity of rules this is estimated on a rough average. You could load a blunderbuss whilst walking quite easily, you could certainly break the method of firing down to less than 30 seconds with enough practice. In order to take a whole turn before firing again, you need a really good reason for it. It isn't just fiddly loading, it is really time consuming loading or something that needs to cool down (say, like a plasma gun) or has other complex worky bits to it. The Crossbow by contrast takes some loading. You need a fair bit of strength to get the firing string back, and traditionally crossbow users often stand on the bow part and pull the string up to the firing notch. Then you load the bolt. I'd rather load a blunderbuss, personally. As it is a rather imprecise weapon, you need only chuck in the charge as quick as you can, and drop a handful of nails in, aim it in the general direction of your foe, keep important body parts behind the barrel and pull the trigger. Once you've finally loaded a crossbow, you then have to aim with it, and unlike the blunderbuss, aiming really matters. The trouble I have is the Crossbow rules themselves. I've read a lot of Necromunda rules, but I've never seen a actual Crossbow in the game before. The Hand bow, sure, but not an actual Crossbow. The only one I know of (in 40k based specialist games) is in Gorkamorka, and that is move or fire, like the Hand Bow. If that is what you mean, then I'd say it is still justified. Whilst I wouldn't say a Crossbow necessarily would take a whole turn to load, it is easily more complicated than a blunderbuss. I'd put both the hand bow and crossbow as move or fire in the least, because unlike a Blunderbuss, which logically you could load on the go, you'll probably need your legs to prime your crossbow, and rather than looking where you're going you'll need to make sure you load the bolt exactly right so that it fires straight. Sorry for the essay, but the logic of rules is generally speaking more thoughtful or complicated than you'd think. EDIT: I'm starting to wonder whether you posted this in the right forum. You sure you didn't mean to post this in the Mordheim section? My logic on the answer though, doesn't change. No, I posted it in the right section. I'm taking the crossbow rules from the Ash Waste suppliment. 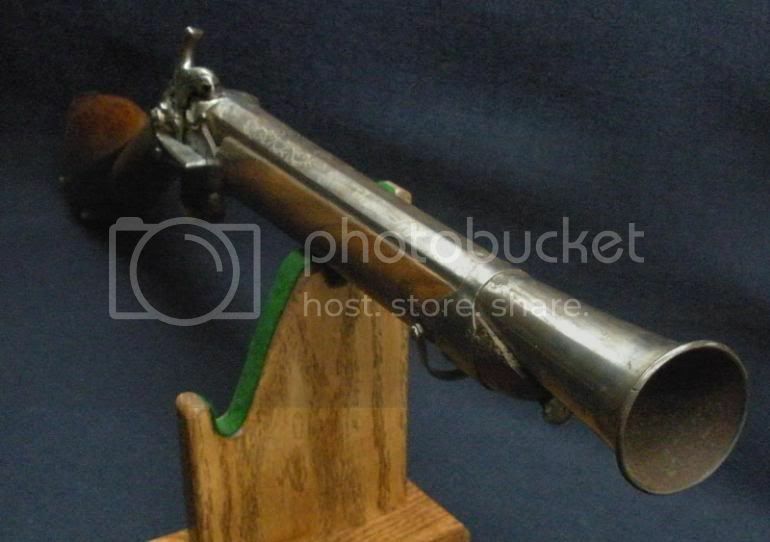 I have never even seen an actual blunderbuss, let alone fired one, so I was just confused. I know a powerful crossbow can be loaded in less than a minute. I thought with the charge, the wadding, the "shot" and the tamping, a blunderbuss would take at least that long. I didn't really think it could be done on the move, either. But that's why you ask questions. I've now got another issue. Originally, I thought the crossbow rules meant that during the turn you were loading, you couldn't move. It was pointed out to me that the rules don't actually say that. Strictly according to the rules, you can move while you load, you just can't fire any other weapon. That seems way wrong. any thoughts? I know I'm nitpicking on some little used weapons. I'm just trying to understand them a bit better, make sure the rules are what they should be, and enjoy a discussion. Ah Ash Wastes, the only rules I didn't bother to check. I even got the Vampyre rules out looking for one. There's always been a bit of a problem balancing out weapons and time constraints. Necro doesn't do a great job of doing it, but there's two things to consider, which are balance and turn structure. The turn itself is an estimated concept. In any wargame, it is broken down to easy to manage phases, and sorted by convenience. Whichever way a turn works, it still usually follows some kind of logical order, movement, preceded by an action/s. It breaks up the time into a number of phases (usually 3) you might not use, and it is unlikely that in a real situation (unless you were in a choreographed military drill) you'd move the same distance, and fire one shot from your gun every few seconds. It's just a bit more convenient and easier on the mind to break it up. Part of it is a quite hefty divide, but the philosophy behind Necro is one attack per weapon per turn. This can seem hazy because you have one shot guns like a blunderbuss and a gun capable of rapid fire (such as an autogun) firing once each turn, despite the fact that logically, you could put three bullets in the head of a blunderbuss user whilst they put in the new load. It tries to estimate an amount of time, so you could logically see a rapid firing gun fire at most a few shots during each turn, whilst in real time, there'd be a lot more bullets. It is also possible that rapid fire weapons are actually firing more than one bullet per turn, and what you're following is the estimated likelihood that one shot of say, three, that has the highest likelihood of doing something. The Rapid Fire skill would then represent a fighter getting used to the recoil of his gun and holding his accuracy a bit better. It is also worth noting that most of the weapons in this game that fire more than one shot per turn have some pretty insane fire rates. What it ultimately comes down to is balance. Trying to time every weapon exactly would take a pretty hefty (and most likely clunky) system to handle it, and would detract from the game too much and cause headaches rather than ammo rolls. It would also probably make any weapon capable of rapid-firing break the game. Where do miss a turn weapons fit in, well like I said previously, they're usually complicated weapons that have a good reason to take quite a while to fire again. It doesn't just come down to loading; Necro sees no difference between a standard two-canister shotgun and a pump action shotgun that can hold more rounds. It sort of estimates reloading, because every gun is going to have to do it at some point. Even Lasgun users carry around multiple 'power packs' that slot into the bottom like ammo pack would. Why the crossbow misses a turn, well it isn't just about putting the bolt on, you need to prime the string too. There's no reason to say that in-between turns, you'd load the crossbow and move. It just means that a crossbow user isn't going to go to the trouble of loading the bolt to fire it off quickly. Handbows are move-or-fire, representing that you sacrifice your movement in order to fire the weapon. It is the same for all heavy weapons, so there's a lot of the complicated nature of those guns that comes into it, even just getting the damn thing ready to fire. Another thing is that the Ash Wastes rules are mostly written by submissions, so the logic behind the blunderbuss may not be shared by the person who wrote the rules the crossbow comes from. Personally I still think a crossbow is more cumbersome than a blunderbuss. Historic Crossbow users were used for their penetration abilities (not to mention the fact that those things can pelt heavier bolts than a bow can), and they usually shielded themselves whilst reloading. I said previously that traditionally crossbow users stand on the bow to pull the string, but it isn't always necessary. Most of these Crossbows are primitive, so in 40k you'd hope there'd be some advancement. I'd personally consider move or fire, but as the handbow has that, it could be a balancing factor to up the firing time of the crossbow to not render the handbow unnecessary. From what I've seen of weapons that miss a turn, they usually have a really good reason to miss a turn. You'd be free to do anything during the rest of the turn, even movement. The logic is that at some point, those few extra seconds would matter. It depends on the weapon, but remember the rules are an estimation. I still think a Blundabuss is a lot less complicated. The charge is just a small bag/canister of gunpowder, and the wide barrel is a convenient funnel to just drop whatever load into it and then fire the contents. It's about the same time to load as any other weapon would be, you're just never going to be able to rapid fire with it, but then the chaos it causes is enough to make up for it. You wouldn't need to be that sophisticated, and I doubt many Blunderbuss users would bother to pat the load in. I'm not quite sure I agree with the can't shoot another gun logic, but then the writer of those rules views a Crossbow as very fiddly, and it is, I suppose that makes a bit of sense. You can move though, you'd have enough time to do that. You'd be able to move in the following turn as well, although that would affect accuracy. You have to remember that most things happen at the same time, shooting and movement aren't that separate except in the ruleset, so a turn could represent 30 seconds, if a heavy bolt takes a minute, that's two turns. Boy, that was more detail than I planned. I'm not trying to be harsh or anything, its just that I make my own gaming systems, and I've put quite a lot of time into thinking about games logic such as this. Thanks, I actually prefer long detailed responses to responses that are often so condensed, only the OP knows what he meant. Occasionally I forget to detach reality from game mechanics. Sometimes it's just a case of that's the way it is if you want the game to work. I wouldn't worry too much about considering reality with game mechanics, its just worth remembering that there are other factors. Although GW doesn't seem to be very big on this, I personally view rules that make no sense from a logical standpoint as a good benchmark for a poorly conceived rule. Rules should make sense, but so long as there's a decent rules precedent it can be enough to suspend disbelief, but all rules should aim at 'realism' as much as possible. I've found rules that follow people's expectations or conceptions of sense tend to go down better and are more likely to be remembered. I suppose one of the main points I want to make can be experienced whenever you try to write your own ruleset. It doesn't matter how big it is, but you will find yourself juggling with a lot of thoughts and conceptions about what you are writing, and how you feel a rule should work. So explaining why something works often isn't easy, because its rare that there's merely one reason why the rule is written as it is. Some rules decisions are more obvious than others. We tend to try to follow precedents of existing rules, don't we. Part of that is channelling a logic. All games have a logic, its just rarely shared by everyone exactly and at some point it is going to break away from reality. You're more likely to have "Hollywood" or "Rule of Cool" rules ideas based on aesthetic considerations, rather than just your basic conception of how it should work. It often breaks down to trying to get close to real, whilst working within the games own logic, so you end up getting contradictions, and often differences in opinion on what the rule means. There's nothing wrong with applying a logic to a game, just don't expect it to always fit. I personally like games based on rules that make sense. I don't play much 40k for that reason. As you can see the funnel end makes loading quite easy. The only trick is the charge, which needs to get to the back, and needs to be a little tightly fitted. However with that huge funnel end, the load you drop into it doesn't need to be sophisticated. It'll be more deadly if compactly fitted, but you can do that by preparing cartridges to fit in. A blunderbuss is really just a rather primitive shotgun.